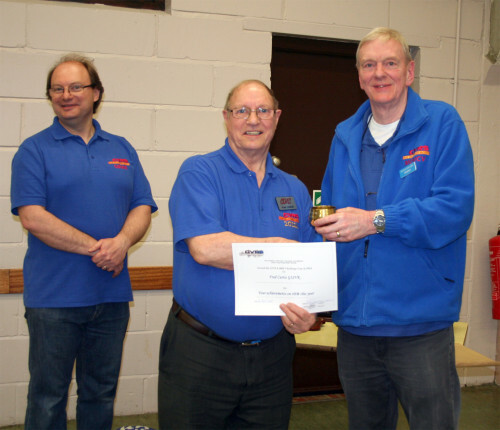 April 2015 – Havering & District Amateur Radio Club. It’s nice getting an award in recognition of time spent trawling the bands or chasing some Special Event stations, especially using very modest equipment, relatively low power and very basic antennas. Some Clubs have an award programme that recognises the achievements of its members from construction to operating. The Havering & District Radio Club do have various awards such as the Constructor’s Cup, Chairman’s Cup, or just recognition for some outstanding contribution to the success of the Club. The Cray Valley Radio Society also has an extensive award programme and I was particularly honoured to receive two awards at their AGM this week. 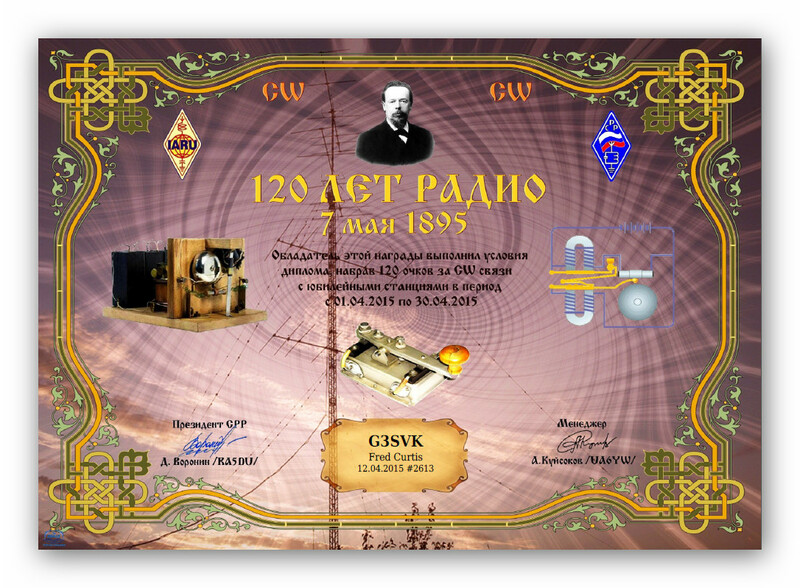 The first coveted award was the HF Shield awarded for achievements on the HF bands and a further award of the 40M Challenge Cup for Achievements on 40M. Both presented by the Club’s President, Bob Treacher, M0MCV (pictured on the right). So, you see what you can achieve with a bit of time, patience and skill. All these awards were achieved using only CW, but they do have SSB awards too.